The best vineyard soils are notable for having a fine balance between water draining and water retaining properties. Vinifera vines tend not to produce great grapes when they have their “feet wet.” Excessive water can lead to vigorous leaf growth and perhaps large quantities of not-particularly-flavorful grapes. Many of the best vineyard sites allow most water to drain away but retain just enough so that the vine roots have access to water during a dry summer. 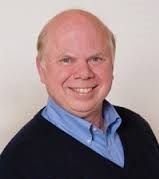 The agent for water retention is, generally speaking, clay. More specifically, it is clay minerals like illite, kaolinite, smectite and chlorite that create these essential mini-reservoirs. Clay minerals fall within a category called phyllosilicates -- minerals with a structural form of parallel sheets. They exist in the soil as a result of weathering -- the slow disintegration of rocks as they are exposed to the physical and chemical forces on the earth’s surface. Clay minerals have a microcrystalline form that resembles a stack of platelets. 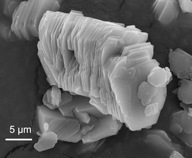 The scanning electron micrograph below shows the mineral structure of Kaolinite. The platelet surfaces attract water molecules, which can double the size of the clay molecule or more. That makes these expansive clay minerals great as a provider of water for vine roots. They are also a nightmare for builders of houses, highways and other rigid objects, since the clays swell and crack foundations and roadbeds. It’s happening right now! Rocks are forming in a slow but inexorable process. 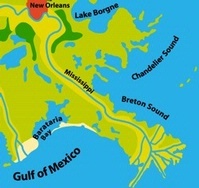 Clay washed from the Minnesota hillsides by early June rains may now be settling to the bottom of the Gulf of Mexico, borne for more than two thousand miles by the slow-moving waters of the Mississippi River. As time passes, those clay particles will be buried under more of the same, every hour of every day as long as the mighty river flows. That is how the rocks we know as shale, slate and schist begin their formation. It’s a slow process, but it’s the relentless nature of the action that boggles the mind. If only one millimeter of clay per day is deposited, that will accumulate to over a foot of clay in a year. Over a one thousand year time span -- a blink of an eye in geologic time -- twelve hundred feet of clay will be deposited. That’s about the height of the Empire State building in New York. One can understand the compressive forces that such a massive pile of mud will exert on sediments below. Over millions of years then, the overburden pressures squeeze out the water and compress the mud into rocks, which we call mudstones or shales depending on their physical properties. As these rocks get buried more deeply, they are subjected to ever-greater pressures and temperatures. When the original shales (called protoliths now that they are being transformed) are subjected to these forces, they slowly begin to re-crystallize and are metamorphosed into slate. 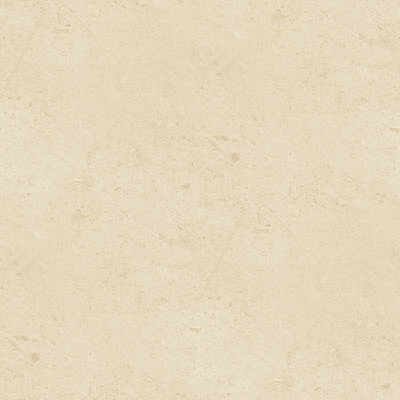 Slate has the property of fissility or slaty cleavage -- it splits easily into large plates. That makes it an excellent source for chalkboards, roofing materials, and decorative stones for flooring, sidewalks and the like. Although usually grey in color, slate can have blue, green, black or red hues as well, depending on trace minerals within the protolith. As slate undergoes further increases in temperature, the recrystallization continues. The crystals form a visible sheen on the rock, which is now called phyllite. Phyllite is a foliated rock. The term comes from the Latin folia, meaning “leaf” and refers to the sheet-like character of the rock. When we increase the pressure and temperature even more, the re-crystallization continues and we form a rock with larger crystals that retains the foliated form. Our rock has now metamorphosed into schist. Further increases in heat and pressure result in coarser crystals and more visible bands in the rock which is now called gneiss. Ultimately, with enough heat and pressure, it may melt entirely and form a crystalline igneous rock known as plagiogranite with no trace of its foliated sedimentary origins. When the metamorphosed slates and schists are pushed to the surface of the earth, they are unstable because their crystals were formed under completely different conditions than those on the earth’s surface. Thus, they are subject to chemical weathering that releases the clay minerals once more and starts the multi-million year process all over again. This is what geologists call the rock cycle. 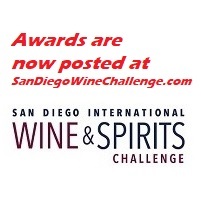 What, then, does all this mean to a wine aficionado? Many vineyard areas are dependent on clay minerals not only for their existence but also for their distinctive style. The soils of St. Estèphe in Bordeaux have a greater clay component than those of its neighboring village, Pauillac. 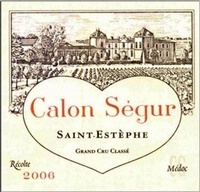 The wines of St. Estèphe reflect the cooler temperature profile of clay as well as the greater water retention with the powerful and ageable wines of the commune like Châteaux Montrose and Calon-Ségur. As we move north from St. Estèphe, the clay component becomes too great to yield wines of Cru Classé quality, and we see a considerable production of less exalted wines under the Médoc appellation. There are many areas of the world where shale, slate, and schist soils are exalted as the reason for superior vineyard sites. 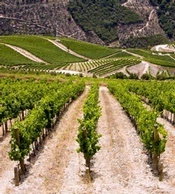 The Douro Valley of Portugal, Priorat in Spain, Côte Rôtie in France and Central Otago in New Zealand are all noted for schistous soils. 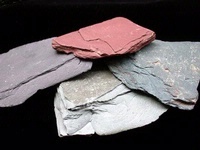 The Mosel River Valley and Nahe Valley of Germany are famous for slates of various colors. 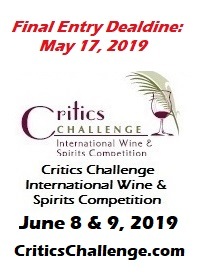 Too, the Malmesbury Shale-based soils of South Africa and the shaly ground of New York’s Finger Lakes are noted as superior vineyard sites. They all share the life-giving, water retention properties of the clay minerals that compose their respective soils. So, the next time you are savoring a glass of fine Port or Wehlener Sonnenuhr, give thanks to the phyllosilicates. They helped nurture the vines and their exemplary fruit.